RARE Training Course Teaches You The Secrets of The KING of Lifts! Back in 1964. Peary Rader himself printed up a fantastic training course entitled The Development of the Clean & Jerk by David P. Webster. At that time, Webster was the chief weightlifting coach for Scotland and went on to become one of the foremost strength historians of our time. We managed to get our hands on a few ORIGINAL copies of this incredibly rare collectible booklet. The Development of the Clean & Jerk is an in-depth, technical training manual, going over the finer points of the “King of Lifts” for anyone interested in lifting the maximum amount of weight overhead. 5½” x 8½” inches in size, printed on heavyweight glossy paper, textured stock cover, 46 pages with MANY rare images and diagrams. A you can see, this booklet is extremely information-dense and if you are interested in putting the MAXIMUM amount of weight overhead, the tips and techniques highlighted in it will help you do just that. 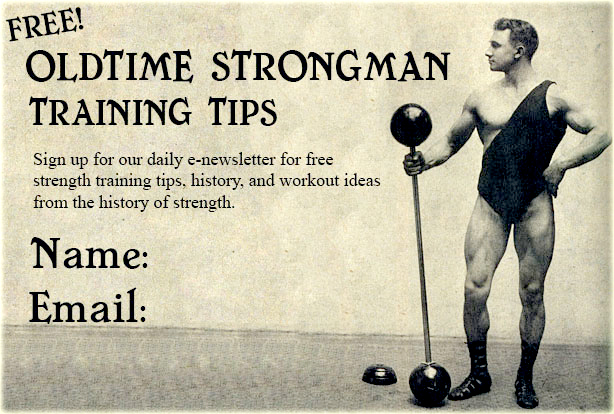 …Like all of our rare and vintage strength items, there are only so many copies of these courses to go around, and when they are gone, they are gone for good.